Click HERE to be redirected to the StarKist Tuna website. I contacted StarKist via email. This is what I said: Thank you for providing such a great product for over 50 years! Happy Birthday Charilie! We prefer StarKist Tuna (in water) over any other brand of Tuna! Click HERE to be redirected to the Mountain Dew website. I opted to contact Pepsi via telephone. I talked to a wonderful customer service representative who informed me that they're completely OUT OF COUPONS... he made mention of the show "Extreme Couponers"... aww man. We missed the boat on this one. I asked him when he suggested that I call back to see if they had any available... his reply... SIX MONTHS! YIKES! However, he did urge me to sign up for the Mountain Dew Newsletter... I did... Click HERE if you want to sign up for the Mountain Dew newsletter too! Click HERE to enter the Mountain Dew Throwback Shack Sweepstakes. Ends 08.07.2011. The Mountain Dew Throwback Shack Sweepstakes can be entered daily and found on the right side of this blog under Daily Entry Sweeps. My motivation is that some of the best coupons come directly from the manufacturer to my MAILBOX! You can get them by contacting the manufacturer directly... and it really only takes a couple of minutes to make a request. 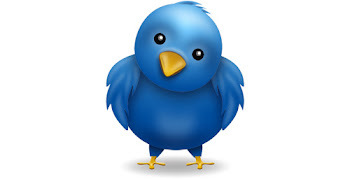 Click HERE to be redirected to the Blue Bonnet website. 1. You can call ConAgra ONCE A MONTH to request coupons!!! 2. They WILL send coupons to you in the mail!!! 3. The coupons are valid for 90 days!!! 4. The coupons I requested today should arrive within 7-14 days!!! Denby is giving away 200 Large Curve Mugs and Denby Gift Cards tomorrow 04.29.2011! Click HERE and LIKE Denby on Facebook. Then, on the left side of their facebook page click on the email sign up tab & enter your email address... be sure to watch for the confirmation link and confirm your subscription because they'll be notifying us of the giveaway time via email! Currently Denby has less than 1200 fans... the odds at getting a freebie are VERY GOOD! 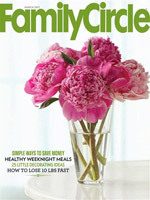 Click HERE to sign up for a complimentary 2-issue subscription to Family Circle Magazine! 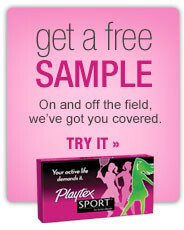 Click HERE to get a $1 coupon and free sample of Playtex Sport on Facebook. 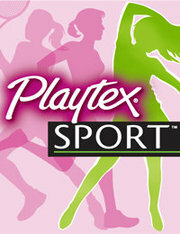 Like Playtex then scroll down ~ the link to the free sample is under the advertisement for the Instant Win Game! Allow 4-6 weeks for delivery. This is a repost ~ Samples are limited to 1 Per Household. To enter the Playtex Sport Unstoppable Movement Instant Win Game you need a 8 Digit Official Entry Code. The Entry Codes can be found on specially marked boxes of Playtex Sport Tampons OR to get a free unique Official Entry Code, send a 3 x 5 card with your full name, address (no P.O. Boxes), city, state, zip code, telephone number, e-mail address and date of birth and mail in an envelope to Playtex Sport Brand Unstoppable Movement Sweepstakes Code Request, P.O. Box 760008, El Paso, TX 88576-0008. Free Code requests must be received by 07/18/11. Click HERE to view the official rules. Ends 07.28.2011. Click HERE to be redirected to the Playtex Unstoppable Movement Instant Win Game. The Playtex Sport Unstoppable Movement Instant Win Game can be found under Mail in Sweeps on the right side of this blog. 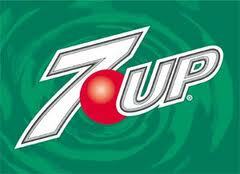 Click HERE to enter 7 UP's sweepstakes for a chance to Win a Trip for Two to The Celebrity Apprentice Boardroom Finale. Click HERE to view the official rules. The chance to Win a Trip for Two to The Celebrity Apprentice Boardroom Finale can be entered daily and found under Daily Entry Sweeps on the right side of this blog. Ends 04.29.2011. 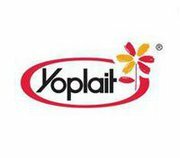 Click HERE to get a coupon for a free cup of Yoplait Yogurt on Facebook! Available while supplies last or until 05.31.2011. Allow 2-4 weeks for delivery. 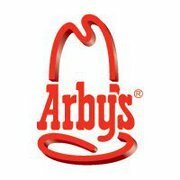 Click HERE to sign up for Arby's Extra's. They're giving away free Roast Beef Sandwiches just for signing up! Click HERE to get your free sample of John Frieda Root Awakening. Allow up to 4 weeks for delivery. Click HERE to print a coupon for $1/1 package of Pilgrim's Fresh Chicken. 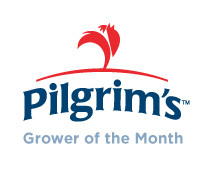 You can find Pilgrim's Chicken at Walmart & Save A Lot (locally)... Click HERE to view the entire list of stores that Pilgrim's Chicken is available. Check with the butcher at your store... he/she may wrap smaller packages for you... possibly resulting in a freebie... it doesn't hurt to ask! 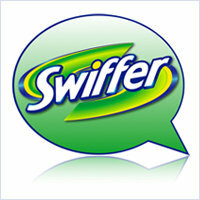 Click HERE to LIKE Swiffer on Facebook. 05.10.2011 will be the start of the 100,000 Swiffer 360 Starter Kit Giveaway ~ during the month of May. Click HERE to register with Mueller. Mueller's will send you an email confirmation... after you get the confirmation you'll need to log into your Mueller's account to access the $1/1 Mueller Pasta coupon! Limit 1 Coupon Print Per Customer. This coupon could result in a freebie when paired with a sale! Click HERE and LIKE Downy on Facebook... they're giving away free samples at 12 PM EST on 04.27.2011. You'll have to be on your toes for this one... there are 5400 samples & Downy samples GO FAST! Good Luck! Click HERE and enter to win a Room Makeover from Customer Carpet Centers. Ends 08.31.2011. The Custom Carpet Centers Room Makeover sweep can be found on the right side of this blog under One Time Entry Sweeps. Eligibility: MUST LIVE WITHIN 75 Miles of a Custom Carpet Centers location. Click HERE to see official rules. Approx. Retail Value $3,500. Includes up to 100 sf of floor tile (value up to $4.00 sf material) AND under tile heated floorsystem fully installed. Also includes 1 basic tub surround. PRIZE #3: FAMILY ROOM or DINING ROOM MAKEOVER (Runs Approx. July 1, 2011 - August 31, 2011) Aprrox. Retail Value $2,800. Includes of to 200 sf of hardwood up to $10 sf installed price. Includes 1 8’ x 1 1’ (nominal) area rug of choice from existing stock, up to $800 at retail value. The Best Part of Wakin' Up is FREE Folgers in your cup! Click HERE to get a free sample of Folger's Coffee! Allow up to 6 weeks for delivery. Ore-Ida is giving away full sized bags of Sweet Potato Fries on Facebook. Click HERE to get yours! Available to the first 100,000! Click HERE and Enter to win a Culinary Tour of Italy from the Olive Garden. The Culinary Tour of Italy Instant Win Game & Sweepstakes can be found under Instant Win Games on the right side of this blog. Ends 05.09.2011. SIX HUNDRED (600) FIRST PRIZES: A $20 Olive Garden gift card. FIFTY-SIX (56) SECOND PRIZES: A $20 Olive Garden gift card. 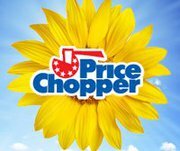 We don't have a Price Chopper around here BUT, they do have them where my husband grew up... in the Adirondacks... when I came across this post... I thought I'd share. Click HERE to get a coupon for FREE MIO. While you're on the Price Chopper Page... they also have a coupon for water... you get it for $3 a case with the coupon! Free subscriptions to Loggers World are available for U.S. logging contractors and supervisors; pulpwood dealers; pulpwood producers; logging superintendents and managers; timber procurement and forest management personnel for forest products firms; wood yard managers; wood-using plants engaged in logging activities, industrial forest managers; management, supervisory and sales personnel employed by manufacturers of logging machines; and logging machinery dealers. Need shoes? Check out Massey's! Click HERE to be redirected to Massey's. They have a nice selection of name brand shoes to choose from. Click HERE to get a coupon for $2/2 Nivea Lip Care. Print Limit 2. Click HERE to print a coupon for $2/2 Reach Toothbrushes. Print Limit 2. Have you ever wondered how to find out (in advance) which purchase will spit out those Catalina coupons? Click HERE to be redirected to the Coupon Network website. Create a profile and select the stores you shop at... click on the MY BUCKS tab to view all Catalina Coupon offers available at your favorite stores. This is a repost ~ If you haven't done so yet... Click HERE to take the Arm & Hammer challenge and sign up for a free sample of Arm & Hammer Toothpaste. Limit 1 Per Household while supplies last. Click HERE to get a $1 coupon for Cinnabon Cream of Wheat. Print Limit 2. Check under Get Coupons ~ on the left side of the blog to find the Cinnabon Cream of Wheat permanent link. Click HERE to get a free sample of Play Time Lubricants from Durex. Allow 12-15 weeks for delivery. Limit 1 Per Customer. Click HERE to get a free sample of Emergen-C. Allow 4-6 weeks for delivery. Click HERE to print a coupon for a Free RevitaLens Starter Kit with Lens Case. It must be redeemed at Walmart and is available only while supplies last! Click HERE to sign up for the P&G Organize in Style Coupon Book! Allow 4-6 weeks for delivery. Click HERE to print a coupon for $1/1 Bagel Bites. Print Limit 2. Click HERE to enter the Camel Hump Day Sweepstakes & Instant Win Game. The Camel Hump Day Sweepstakes & Instant Win Game can be found on the right side of this blog under Instant Win Games. Ends 07.06.2011. Play for a chance to win up to $50,000! Click HERE to all prizes & the official rules. Today is the second day that I've played & I won a $20 Visa Gift Card! Click HERE to print a coupon for $3/1 Bag of Pedigree Dog Food. Beware, this is NOT the same coupon that was in the Sunday Paper Insert... This coupon is good toward an 8.8 pound bag... It's still a high value coupon none the less! 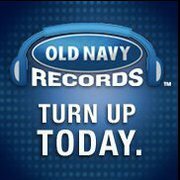 Click HERE to print a coupon for $10/$50 redeemable at Old Navy! Don't forget about the Old Navy Instant Win Game ~ You can play up to 15 times & for a chance to win more Old Navy coupons! Old Navy has flip flops on sale right now for $2 a pair... plus, if your old flip flops are ready for the dumpster don't toss them just yet ~ Old Navy is collecting them to recycle into a playground! Click HERE to enter the My Mathews Moment Sweepstakes. Limit six (6) submissions per person per email address via the Promotion. This sweepstakes can be found found on the right side of this blog under Other Sweeps. Ends 08.15.2011. Thank you Tasha! One (1) Grand Prize: an all expense paid hunt with Dave Watson, to be featured on Mathews TV. Trip includes roundtrip coach class airfare OR mileage reimbursement for one (1) (winner) from major airport near Winner’s residence in the United States OR from Winner’s residence, to hunt location (TBD); transportation to and from the airport and hunt location. Hunt is subject to Dave Watson’s availability, and must take place by 12/30/2013. Actual value of trip will depend on point of departure and any airfare fluctuations. Air transportation provided only if grand prize winner does not reside within 100 miles of hunt location. Trip is subject to air travel, holiday and blackout dates, and other restrictions. Sponsor will not replace any lost or stolen tickets, travel vouchers or certificates. Once booked, no change, extension, or substitution of trip dates is permitted, except by Sponsor at its sole discretion. If grand prize winner is a resident of a jurisdiction that deems him/her to be a minor, he/she must be accompanied by his/her parent/legal guardian, and such person must pay his/her own expenses. Grand prize winner is responsible for obtaining all necessary and required travel documents. All meals, gratuities additional ground transfers, transportation, excursions, insurance, incidentals, departure, airport taxes and any other expenses not specified herein are the sole responsibility of the grand prize winner. If Grand Prize winner cannot take Trip in conjunction with such dates/times, he/she has will be awarded a substitute prize of a Mathews Z7 Xtreme with Arrow Rest and Quiver. One (1) Second Place Winner: A Mathews Z7 Xtreme (1) (winner) $899 ARV. Win Free Car Insurance for a Year! Click HERE to enter to Win Free Car Insurance for a Year! Approximate Retail Value $500.00. This is a One Time Entry Sweep and can be found on the right side of this blog under One Time Entry Sweeps. Ends 06.30.2011. 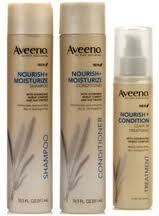 Click HERE to get a free sample of Aveeno Hair Care! Allow 8-10 weeks for delivery. To get a free sample of Woolite Dry Cleaner's Secret send in a copy of your last dry cleaning receipt along with a sample request form. Click HERE to be redirected to the sample request form. 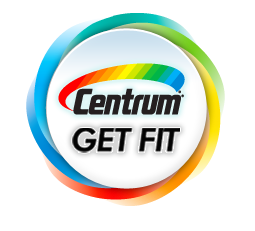 Click HERE to enter the Centrum Get Fit Instant Win Game﻿... The Centrum Get Fit Instant Win Game can be found on the right side of this blog under Instant Win Games. Ends 06.12.2011. (1) year supply of Centrum (awarded in the in the form of four (4) free product coupons); Approximate Retail Value (“ARV”) $348.00/each. (1,000): Water Bottles, ARV $15/each. Limit: One (1) Grand Prize per household. HOW TO OBTAIN GAME CODES: There are two (2) methods of obtaining a Game Code (“Game Code”) for entry into the Instant Win Game. You must have a Game Code to register for and play the Game. Each Game Code can only be used once during the Promotion Period. a. On-Pack: Purchase a specially-marked Package of Centrum® (includes Centrum®, Centrum® Ultra Women’s and Centrum® Ultra Men’s) during the Promotion Period from Participating Retailers and look for the Game Code on the package. b. Without Purchase. Visit Free Code and follow the on-screen instructions to request a Game Code. A Game Code will be emailed to the email address provided on the request form. Click HERE to enter the I Can't Believe It's Not Butter Instant Win Game! The I Can't Belive It's Not Butter Instant Win Game can be found on the right side of this blog under Instant Win Games. Ends 06.30.2011. Click HERE to enter the Old Navy Crazy Code Egg Hunt Instant Win Game & Sweepstakes. You can enter up to 15 times per day!!! I just entered 15 times in a row... and won a coupon. Starts: 04.21.2011 & Ends 04.24.2011. You can find the Old Navy Crazy Code Egg Hunt under Intant Win Games on the right side of this blog. ONE (1) GRAND PRIZE: $50,000 check. THREE (3) FIRST PRIZES: $5,000 check. THIRTY-FIVE (35) SECOND PRIZES: $1,000 check. TWENTY-THOUSAND (20,000) T-SHIRT OFFERS: "Buy a t-shirt get a second t-shirt 50% off" coupon. Limit: One (1) Coupon Offer per person. Sweepstakes Prize: ONE (1) GRAND PRIZE: $2,500 (awarded as a check in the name of the winner). Approximate Retail Value ("ARV"): $2,500. THREE (3) FIRST PRIZES: Kid's Bicycle (awarded as a $100 Amazon.com Gift Code). ARV: $100. TEN (10) SECOND PRIZES: Kid's Inline Skates (awarded as a $50 Amazon.com Gift Code). FIVE (5) THIRD PRIZES: Kid's Scooter (awarded as a $50 Amazon.com Gift Code). ARV: $50. FORTY FIVE (45) FOURTH PRIZES: Kid's Safety Helmet (awarded as a $30 Amazon.com Gift Code). ARV: $30. Click HERE to enter the Shaw Floors Spring is Green Instant Win Game & Sweepstakes. Enter daily for a chance to win! The Shaw Floors Spring is Green Instant Win Game can be found under Instant Win Games on the right side of this blog! Ends 06.05.2011. Sweepstakes Grand Prize: One (1) Sweepstakes Grand Prize Winner will win a $2,500/Shaw Flooring Makeover. The Sweepstakes Grand Prize will be awarded in the form of a Shaw Floors Spring is Green Gift Card to be used at any participating Shaw Floors retailer. 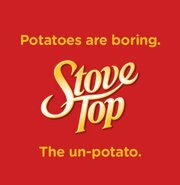 Stove Top Stuffing $0.50/1 Coupon on Facebook reset? I just printed 2 more coupons for $0.50/1 Stove Top Stuffing! Click HERE to print! Click HERE to get a $3/1 coupon for Schick Intuition and be entered into a weekly drawing for a prize pack from Schick! 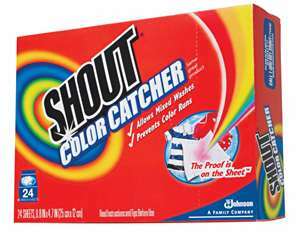 Click HERE to get a free sample of Shout Color Catcher on Facebook.